The Eleven Black Men of Liberty County, Inc. will hold its “Fifteenth Annual Scholarship Banquet” at Club Stewart, Fort Stewart, Georgia, on March 28, 2009. There will be a reception from 6:15 to 6:45 PM, followed by the banquet dinner at 7:00 PM. 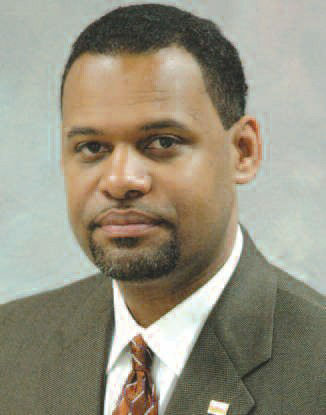 Daniel K. Wims, PhD, the Executive Vice- President, Vice-President for Academic Affairs, and Professor of Agricultural Sciences at the Fort Valley State University in Fort Valley, GA is this year’s banquet speaker. The Georgia native’s professional career has been dedicated to providing educational opportunities to non-traditional and minority students. Additionally, he has acquired expertise in youth, rural and community development, conflict resolution, leadership development, social and educational research, budgeting, program planning and development, and program review and evaluation. In graduate school at Ohio State University and the University of Maryland, College Park, Dr. Wims had other aspirations, but his career unexpectedly steered him to academics. Tickets are $35 each and may be purchased by contacting Dr. Robert Simmons, 912-368-3333, Robert Blue, 912-368-7675, or any of the Eleven Black Men of Liberty County directors. For more information about the banquet or the Eleven Black Men of Liberty County scholarship, call Andrew Williams, 912-977- 3293.